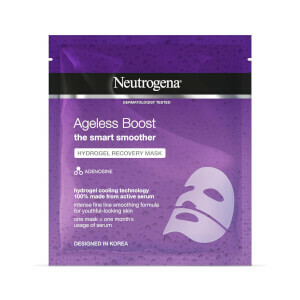 Hydrogel masks deliver the equivalent of one 30ml bottle of concentrated hydrating serum to your skin in just 15 minutes. Skin feels refreshed, hydrated and noticeably supple. [PR-018540], Aqua, Dipropylene Glycol, Propanediol, Chondrus Crispus Extract, Tremella Fuciformis Sporocarp Extract, Tocopherol, Plukenetia Volubilis Seed Oil, PEG-60 Hydrogenated Castor Oil, Sucrose Cocoate, Hydrolyzed Hyaluronic Acid, Ceratonia Siliqua Gum, Potassium Chloride, Xanthan Gum, Disodium EDTA, Trisodium EDTA, Chlorphenesin, Phenoxyethanol, Parfum, CI42090. I found the mask rather tricky to put on and stay on at first but didn't take me long to master it. Once I had it on my face felt instantly fresh. My skin felt smooth and hydrated and really soft afterwards. Really liked the refreshing gentle scent too. Lovely for a pamper day or maybe the day after to many wines!! Would recommend and purchase. 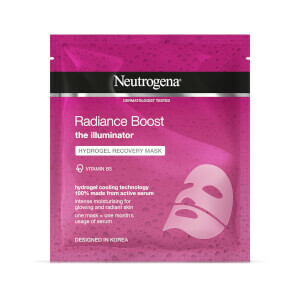 This mask is amazing left my skin feeling so soft and smooth. It was a little tricky to get out and put on but once on it's feels so cooling on your face once you leave it and rub it in your skin feels so much better. I suffer with sensitive skin and this was such a sensitive product it didn't negatively effect my skin at all will defo be buying again. 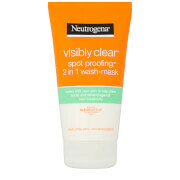 I've used a lot of sheet type masks in the past, but never a gel one like this. Although it was a bit slimey and slightly awkward to get on and get out the packet- the effects are brilliant and last for ages. My skin looked smoother, I normally have dry skin around brows and this massively helped. First time for me and I'm converted to these. This product definitely does what it claims to. Being a busy mum of 5, I find it incredibly difficult to look after my skin and I have noticed that my skin wasn't looking it's best. When I saw this, I just knew I had to give it a go. The mask does fit perfectly on the face and it doesn't slip or fall off. The smell of the mask is really refreshing and calming too. It's really soothing on the face and there isn't any irritation. Once your time is up - I left mine on for 20 minutes as it's recommended to leave it on for anywhere between 15-30 minutes. Once you take the mask off you will be left with supple and super hydrated skin. 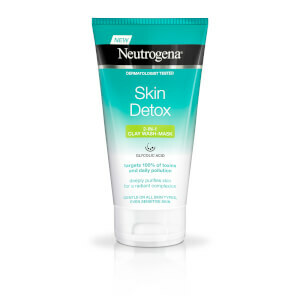 I will definitely be buying again as my skin looks like new and it was exactly what I was looking for. Super product. I have tried a few face masks over the years and all claiming to hydrate the face but actually did nothing. This face mask is by far the best it didn't make me feel itchy or like it was slipping off my face. will definitely recommend this product to my friends. 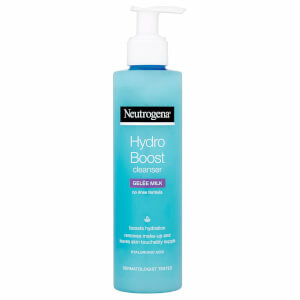 Just used the Neutrogena, hydro Boost mask and my skin feels amazing! I'm really pleased with he results and look forward to the next few days to see how the results continue. Only critism would be that it's very messy to apply, alot of extra serum in the pouch which makes for alot of slimy fingers! But once it's on it feels very refreshing and I'm more than happy with the results.